Performance is key to the perfect vend, Benders range of vending paper cups feature industry leading construction for reliable performance. This assurance of quality has enabled us to lead the way in the vending industry’s conversion from plastic to paper cups, delivering operators a range of benefits and enabling development of new business. The entire Benders range has been developed using this attention to product quality and performance standards as a benchmark. The expectation of a quality drinking experience in vending has increased due to high street availability. Operators benefit from the consumer’s recognition of the improved quality paper cups offer, combining them with innovations in machine technology, availability of quality ingredients and endorsement of major brands, to compete with the high street and exceed the consumer’s expectations. 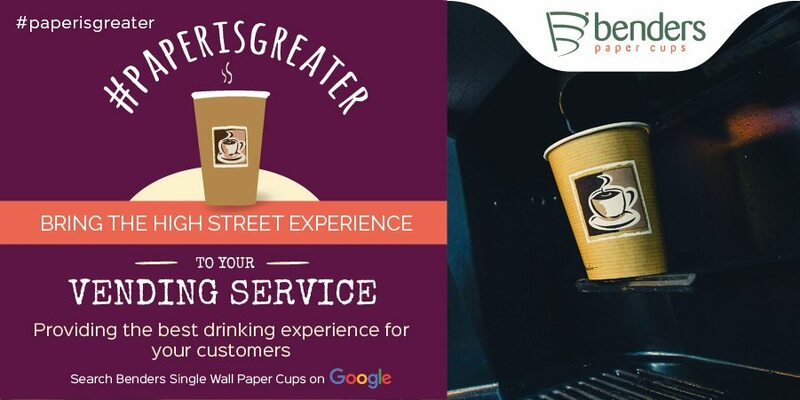 Operators can create a distinct identity, building awareness of their brand or a unique promotion using paper vending cups supporting stunning print and mixed sleeve designs. This has the greatest impact in the workplace with staff looking for the same drinking experience they expect from a speciality, high street coffee shop. Operators can build a stronger understanding of interactivity with the consumer by promoting events and competitions on the cup. Benders work with leading UK operators to endorse these campaigns further through social media and PR activities. A larger range of sizes is available when using paper cups allowing operators to offer varied drinks menus influenced by high street drinking expectations. Combining the increase in choice and branding opportunities with service features’ including touch screen interactivity and contactless payment creates an intuitive, quality service experience, endorsing the value proposition of the drink and enabling the operator to take advantage of trading up opportunities. The same benefits enable operators to extend business into new channels. The availability of 12oz in paper plays an increasingly important role in vending on public sites, including leisure and retail environments. Insulated cups such as the 8/9oz Embossed cup, extends the vending in these environments, enabling consumers to travel comfortably with the drink from the point of service. 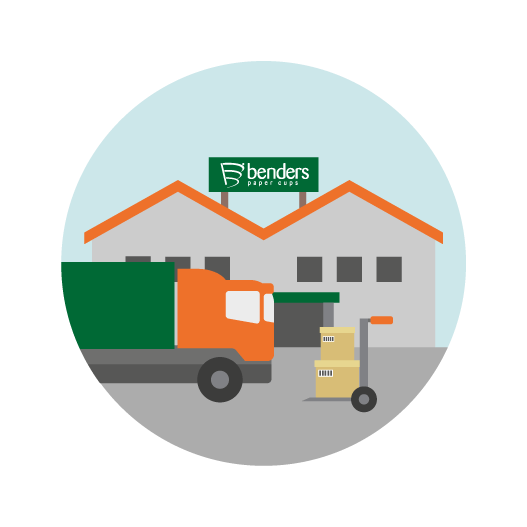 Benders range of paper cups is manufactured in the UK in our BRC/IOP A grade certified factory for packaging and packaging materials. This certification is an assurance to operators that our products are safe and manufactured to the best possible quality, ensuring trouble free service. 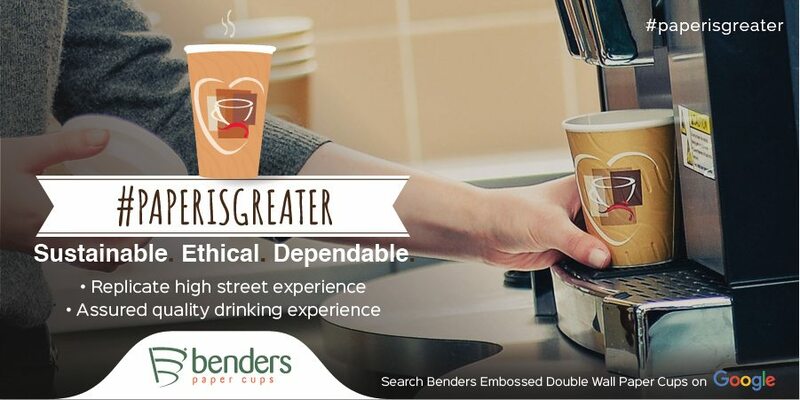 Every cup in the Benders range carries the assurance of full PEFC Chain of Custody Certification. The Operators CSR position is supported by the certification as it demonstrates that the materials used have been sustainably sourced and can be traced through the entire supply chain to guarantee the provenance of the finished product. The certification also demonstrates compliance with EU Timber Regulations 995/2010. As consumers are becoming more aware of environmental considerations, they associate paper with an image of quality drinking. 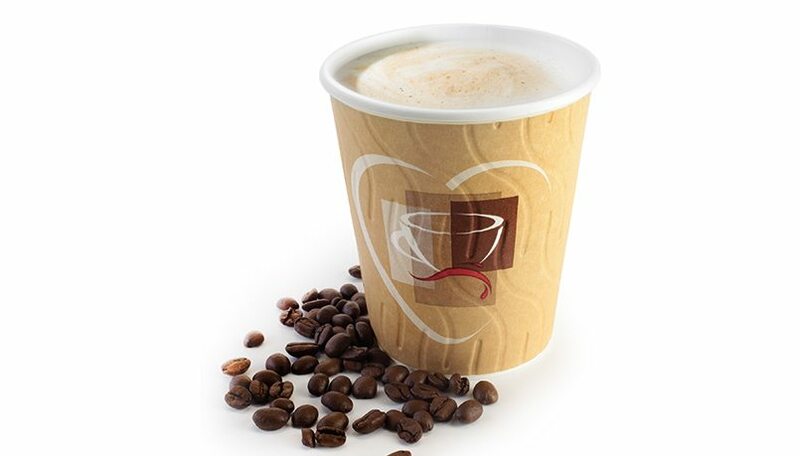 The PEFC logo printed on every cup demonstrates to the consumer that the same considerations used by the operator when sourcing high quality ingredients, has been used to source a high quality cup. To find out more about how you can benefit from plastic to paper conversions follow us using @BendersCups and tweet us using #paperisgreater, and show your support for quality paper cups today.